Suffering from chronic foot pain makes it difficult for one to endure being upright on his or her feet for any duration of time, much less has the pain tolerance to step out and away from the safety and security of their home. Foot neuropathy is a tricky condition that has the potential to leave an individual’s foot with a complete loss of feeling. How does foot neuropathy happen? Foot neuropathy is often a complication of something much deeper and problematic than just foot neuropathy pain and symptoms. Foot neuropathy can develop in diabetics that have gone years with uncontrolled blood sugar levels and leave the diabetic with moderate to intense levels of nerve pain that shoots up through the foot and affects their ability to walk. Foot neuropathy is much more complicated than just the loss of feeling in the feet. Neuropathy in feet makes it unsafe to walk because of the patient’s inability to feel changes in terrain and plain levels. Those suffering with foot neuropathy must take extremely good care of their feet in order to insure that no sores, blisters, cuts or abrasions are had. Nightly feet checks help eliminate further foot complications that could lead to possible infection and amputation. Proper foot wear can reduce the risk of developing sores, blisters and abrasions. Circulation in the foot area is vital to healthy feet and reduction of nerve pain; blood flow to the damaged nerve area brings vital nutrients, antioxidants and vitamins to the damaged area acting a natural healer to foot neuropathy, improper tightfitting footwear and hosiery can restrict blood flow. Foot neuropathy treatment is helpful in reducing if not eliminating foot neuropathy pain and will prove to be helpful in maintaining mobility. There are several foot neuropathy treatment methods that neuropathic patients can play around with in hopes of finding one that works best for them. 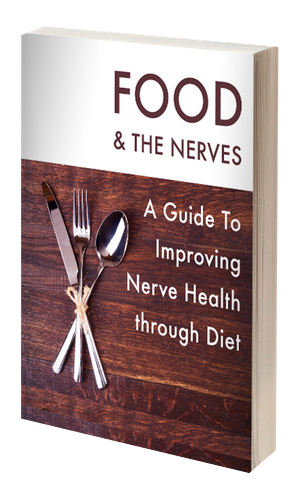 There are two approaches: the pharmaceutical approach to treating neuropathy or the natural holistic approach. The pharmaceutical approach implies the use of medications both prescribed and over the counter. The natural approach to treating foot neuropathy symptoms includes safer methods such as acupuncture, topical creams, vitamins, and herbal supplements.